High in the legendary Himalayan mountains, the snow leopard has evolved into a near-perfect predator, stalking its prey while camouflaged by a snowy pelt marked with black and gray rosettes. Creeping among the rocks, this hundred-pound cat is virtually invisible. The snow leopard’s coat is both a blessing and a curse, as the cat has long been hunted by fur traders to be made into coats. Despite sharing a name and similar coat pattern with other leopards, the snow leopard’s closest relation is the tiger. Zoologists estimate the two species diverged around two million years ago, evolving into very different species. Some taxonomic schemes describe the snow leopard as a member of the Panthera genus; still others contend the species is the only member of its own genus, Uncia. The monotypic genus is justified because, unlike other members of the Panthera genus, snow leopards are unable to either roar or purr continuously. To some experts the snow leopard, like the clouded leopard, represents an intermediate species between big cats and other feline species. Historically widespread throughout the central Asian mountains, snow leopards are native to Afghanistan, Bhutan, China, India, Kazakhstan, Kyrgystan, Mongolia, Nepal, Pakistan, Tajikistan, Uzbekistan and the Russian Federation. Modern snow leopards are restricted to higher elevations in the Himalaya and other ranges within the area, most often living in habitats between 10,000 and 15,000 feet above sea level. As of 1996, the species was considered extinct in some areas of its former distribution, and is no longer found at lower elevations in part because of habitat destruction and human settlement. The snow leopard figures prominently in the beliefs of many indigenous people within its geographic range. Some Nepalese natives believe the snow leopard removes sins from past lives. Killing a snow leopard transfers all these past sins to the killer’s present life. Many Tibetans associate the snow leopard with the famous Tibetan poet and yogi Milarepa, who legend says transformed into the animal when he was stranded in the mountains, and was thus able to survive until his disciples located him. 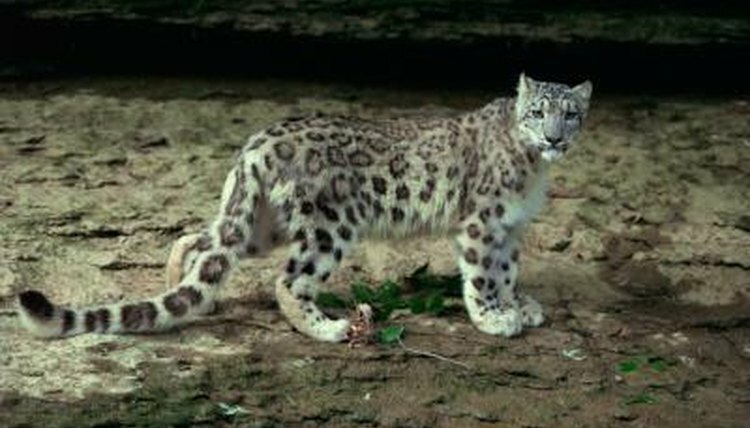 The Wakhi, a native group living in portions of modern-day Pakistan, China, Tajikistan and Afghanistan, believe holy beings known as mergichan often take the form of snow leopards. The snow leopard was hunted for its pelt throughout the 20th century. As many as a thousand snow leopard skins per year were traded in Russia in the 1920s. These cats have been classified as endangered since 1972, and commercial trade in the animals, their pelts and other parts has been banned under international treaty since 1975. Despite these protections, snow leopard populations continue to decline. Much of the cat’s geographic range is fraught with political instability, and military conflict is ongoing throughout most of these areas. Poaching is prevalent in such desperate situations where international agreements are difficult if not impossible to enforce, and conflict refugees are faced with extreme poverty.